Banana Pancakes and the Children of Sticky Rice - a documentary co-production between the Netherlands and Laos - chronicles an isolated Laotian village, untouched by outsiders for centuries, as it opens up for tourism. 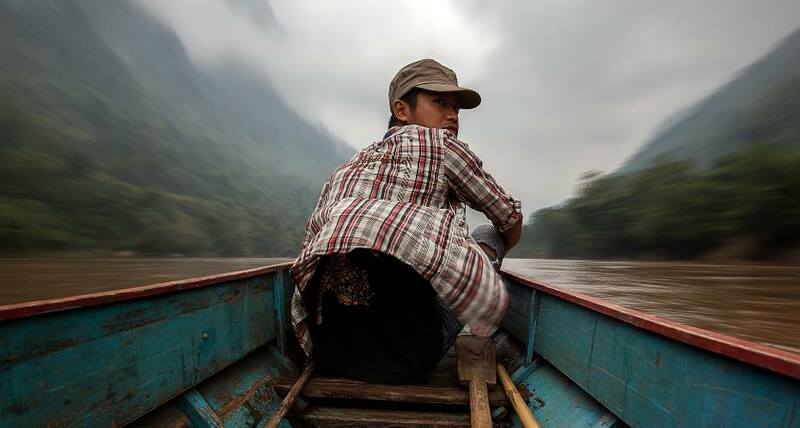 What cost will these "authentic adventure"-seeking backpackers have on Muang Ngoi's character? How will the influx of money affect the locals too? Daan Veldhuizen's subtle and restrained movie presents us with something of a clash of cultures feature but unlike, say, Trading Places or Grimsby, this is certainly not a comedy. Instead, the documentary unfolds as a languid, almost inert film which allows us, the audience, the chance to lap up the incredible sights and sounds of the region with serene, patient pleasure. Banana Pancakes may be a documentary, but its aesthetics are as lavish as those found in any Lubezki film one may imagine. The vast expanse of green trees and moss-covered mountains jutting into the horizon are spectacular and awe-inspiring. The slow rhythm of the movie, however, may be at odds with, and discomforting, for those more acclimatised to the frenetic pace of Hollywood editing. This formal choice speaks volumes of Veldhuizen's intent though - throughout the film he highlights, with great nuance, the problems found in the meeting of traditional Eastern values and post-colonial global capitalism. The theme fits neatly and thematically with the other screenings scheduled throughout Asia House Film Festival 2016, and deals with ideas of cultural flows across borders, modernism versus traditionalism and identity in an increasingly gloablised world. During Banana Pancakes and the Children of Sticky Rice we meet two of the local villagers - the cool and moody Shia and his friend Khao, a farmer and father more than happy with his existence. We watch as they navigate the wild and chop for wood, capture animals and start fires; that they do this whilst sporting jeans and baseball caps, the two most quintessentially American items of clothing, is telling. Yet, whilst Shia seems keen to embrace modernity, Kaho is worried. Khao is afraid that his friend is slipping away from him and that he has changed too much since experiencing the big city. Khao is not alone in his concerns. As money comes into Muang Ngoi through tourism, and allows the village to advance its infrastructure, we meet other dissidents of the new system: capitalism, one local notes, is making him compete with his friends for money. This is not a situation he is at all familiar or comfortable with. Laos, after all, is a country rooted in Buddhism - a religion very much opposed to the rampant materialism found in capitalism. As we watch Banana Pancakes and the Children of Sticky Rice, there's something profoundly upsetting about watching "the end of history" make its way to the unspoiled splendour of Laos and even some of the tourists appear disenchanted by their experiences too. Yet, amongst the distressing tale unfolding before our eyes, there is hope. Veldhuizen's camera captures a solitary figure in a sprawling plantation filled with plants reaching up to the heavens. 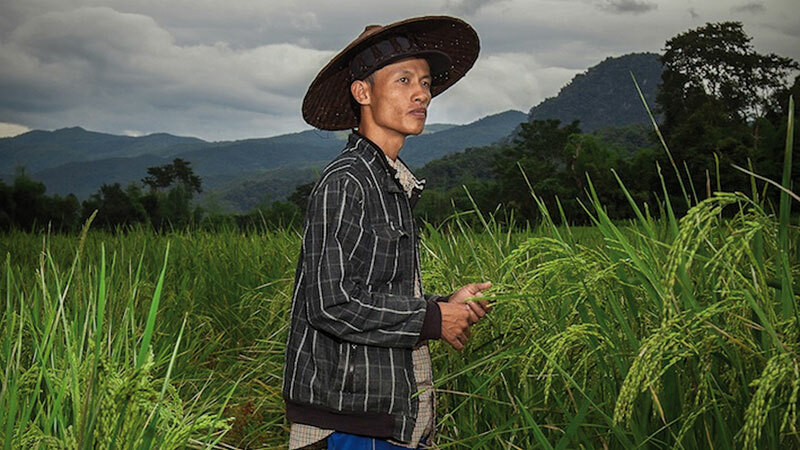 "My favourite place," Khao narrates, "is the rice field. I never get bored there. It's such a spectacular place." Long, we hope, may it remain that way. Banana Pancakes and the Children of Sticky Rice receives its UK Premiere on February 26th at Regent Street Cinema, London. Tickets are available here.